Yet to launch lifestyle brand Virgin Voyages is definitely going to offer cruises that foodies everywhere will love. 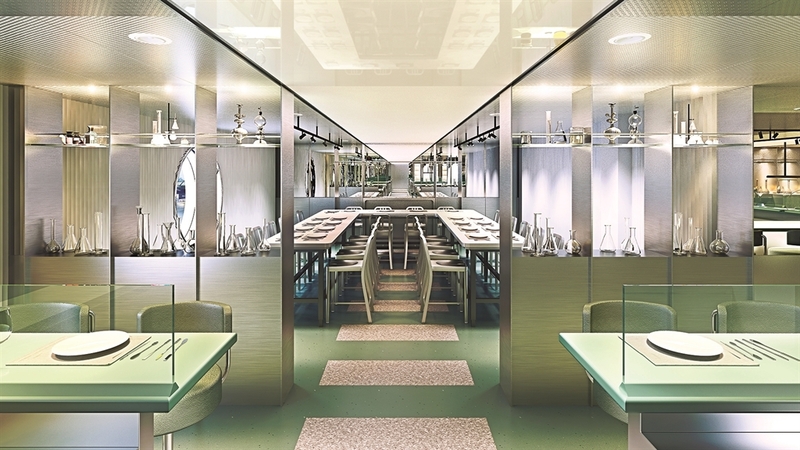 The brand does not believe in paying more for great food and ditched the traditional up-charges levied when dining in speciality restaurants at sea. 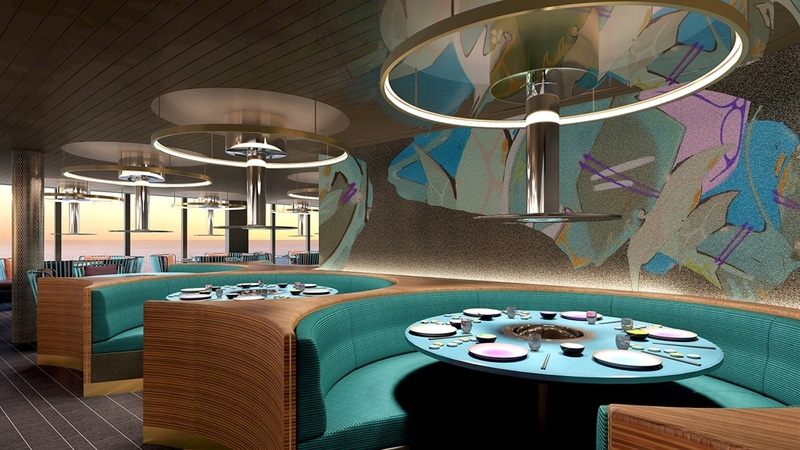 Virgin Voyages has designed all eateries on board to offer exceptional made to order eats and opted to include all restaurant food in the voyage fare. Virgin Voyages aims to be one of the cleanest fleets at sea, with a ban on single-use plastics for its sailors and no buffet on board the ship, the company will significantly reduce waste and reinvest savings into clean technology and quality products for its sailors. 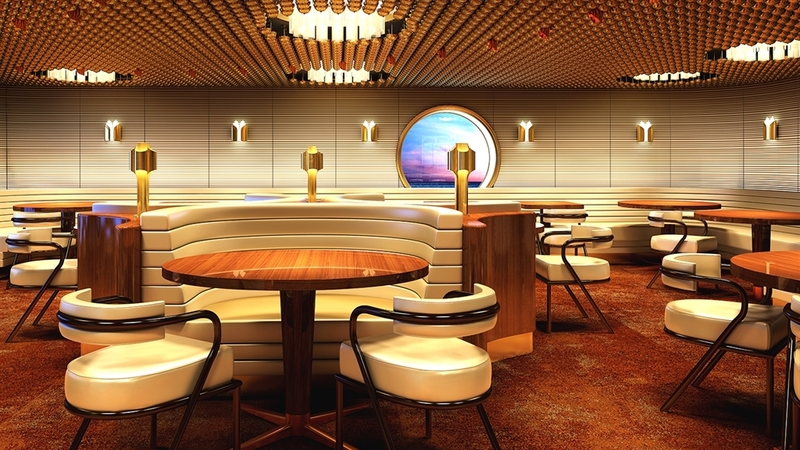 The Scarlet Lady is designed to reflect a yacht’s sleek luxury and will set sail from PortMiami for the 2020 season with 2,770 sailors and 1,160 crew on an unforgettable journey to the Caribbean, she will also be the newest ship sailing to Havana on select voyages. 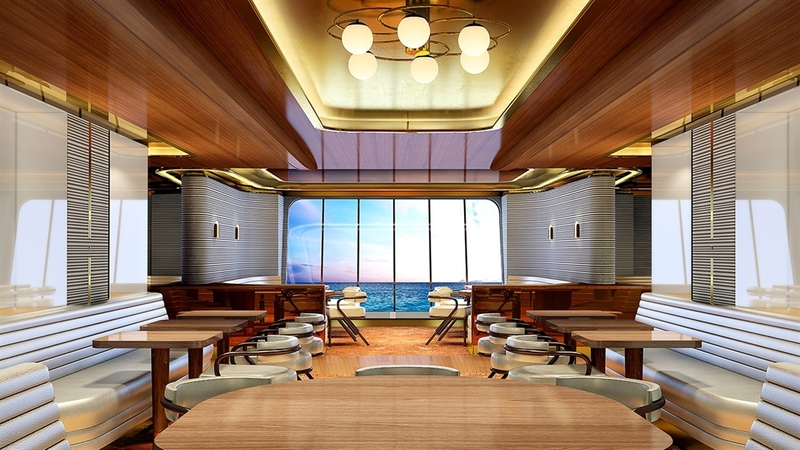 Virgin Voyages will bring city-like eating to sea and throw out the traditional cruise dining rulebook, with no buffet, no main dining room, no forced formal wear, no assigned seating, no assigned dining times and enhanced the choice for sailors to grab a bite by keeping restaurant doors open until well into the night and in some cases the early hours of the morning. 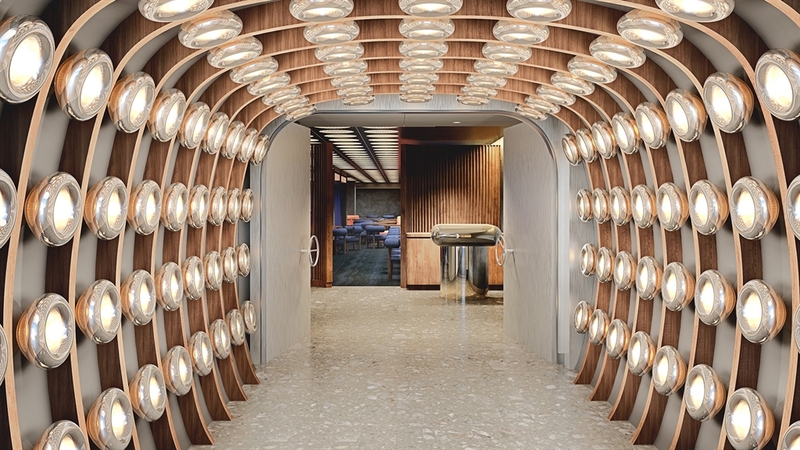 RAZZLE DAZZLE– With an interior scheme that nods to the namesake, the bold camouflaging of ships from WWI using patterns of black and white paint, Razzle Dazzle was designed by Concrete Amsterdam. With vibrant and creative twists on vegetarian fare and a juice bar. The “nice” menu offers plant-based vegetarian and vegan dishes including must-have munchies such as the Impossible Burger. 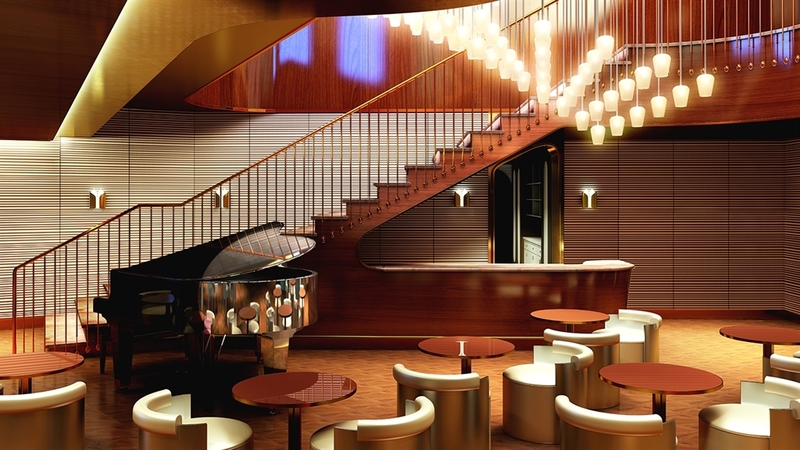 To live up to the boldness of its name, Razzle Dazzle will not simply brunch but rather Drag Brunch, where sailors are treated to a performance by the Scarlet Lady’s resident drag performer and friends. GEONBAE- Geonbae, the equivalent of the expression bottoms up in Korean, is a Korean BBQ restaurant designed by Soft Room. Hosted by the loudest servers at sea. PINK AGAVE- An elevated Mexican restaurant designed by Tom Dixon, Pink Agave transports sailors to the vibrant streets of Mexico City through immersive void lighting. Offering a wide variety of Mexican specialities that inspire sailors to discover authentic Mexican flavours including tlayudas, memelas, sopes, tortas, esquites, and tamales. Let us know which restraunt on board you would love to visit when it launches at @Fuzzable!